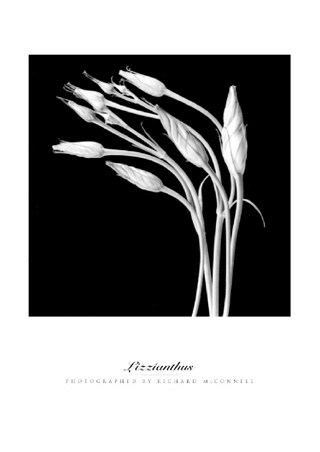 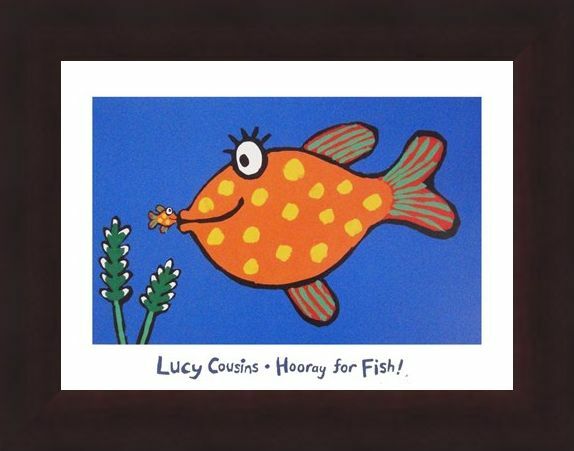 Art Print: The wonderful underwater world of fishes has been beautifully portrayed in the 2005 book 'Hooray for Fish!' 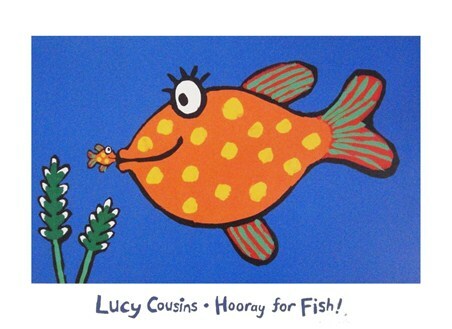 by the British author and illustrator Lucy Cousins. 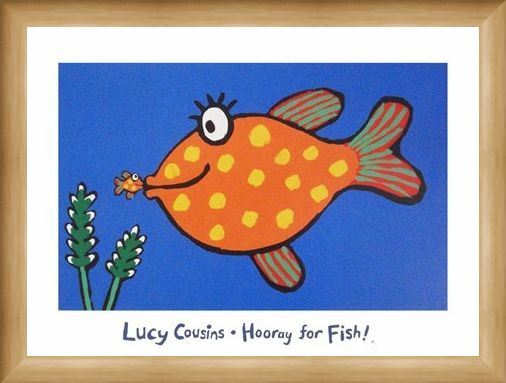 Created with extremely vibrant colours and delightful designs, the two fishes pictured here in this art print are sure to bring a little smile to any child, or adult's face. 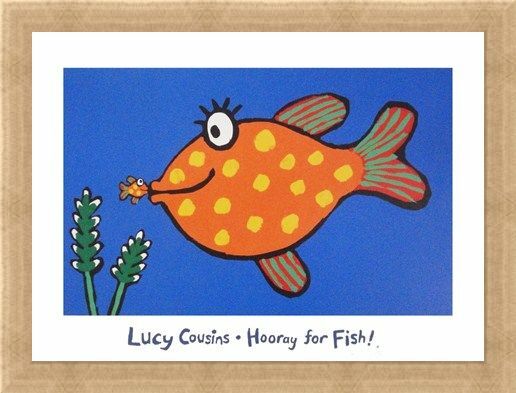 With long eyelashes, the big, orange spotty fish is giving the little tiny one a kiss as they swim under the sea amongst the green plants. 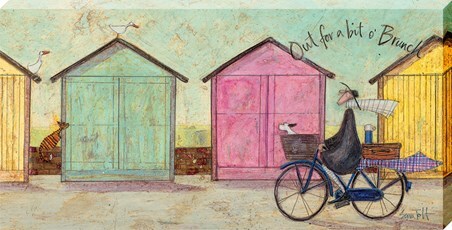 A cheeky and fun art print which represents the fantastic children's book which is packed full of fishy frolics. 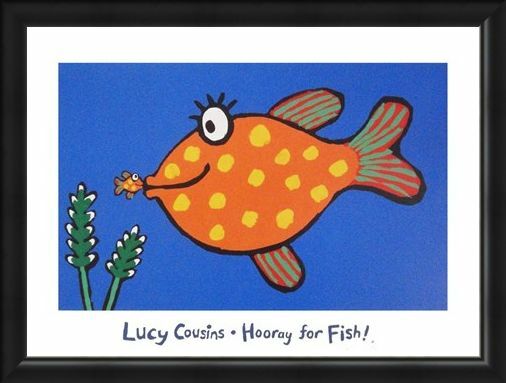 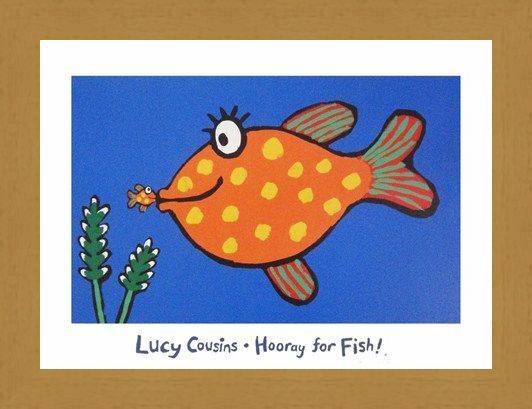 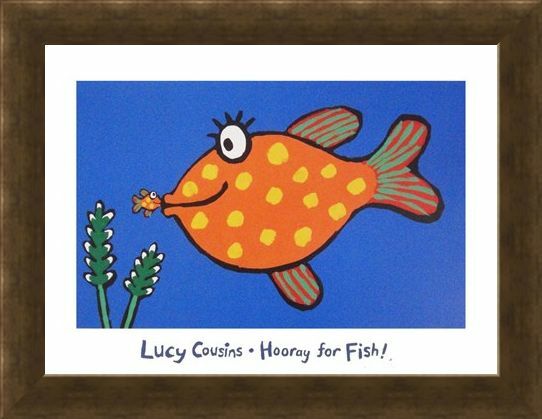 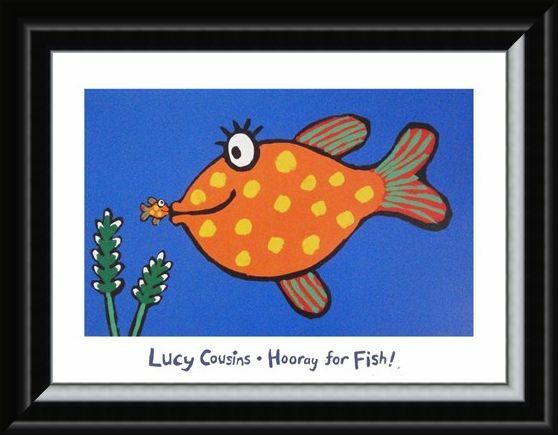 High quality, framed Hooray for Fish!, Lucy Cousins print with a bespoke frame by our custom framing service.